Our family team created “Z-Bot” for explorers and educators who will go to Mars and beyond to study rocks, atmosphere and stars. Z-Bot affixes itself to Z-Series Space Suit being designed by NASA and can gather spectroscopic data and display it on a screen. 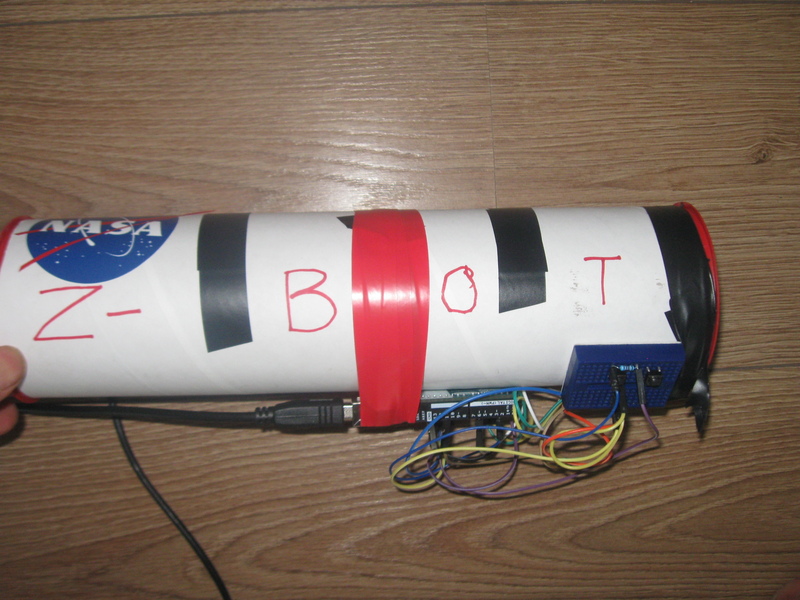 Z-Bot has a laser and a Red Green Blue sensor affixed to it to get Temperature, Color composition and Luminosity data. Continuous spectrum obtained from the Sun. It can be used on Earth to estimate age and temperature of stars (whether they are hotter or older than Sun). Our aim is one Z-Bot per Child as it costs less than $15 and all families can make one.